South Gloucestershire’s libraries have been giving families with children aged 5-years-old and under a free Bookstart Bear sticker storybook to encourage them to read more with their children. The ‘Bear’s Reading Adventure’ sticker book has been written and produced by children’s reading charity BookTrust and was handed out at all South Gloucestershire libraries throughout January. The story follows Bookstart Bear on his reading adventure, however there are ten objects missing from his adventure which are revealed by collecting special stickers. Children then earn a sticker every time they take out books from the library. 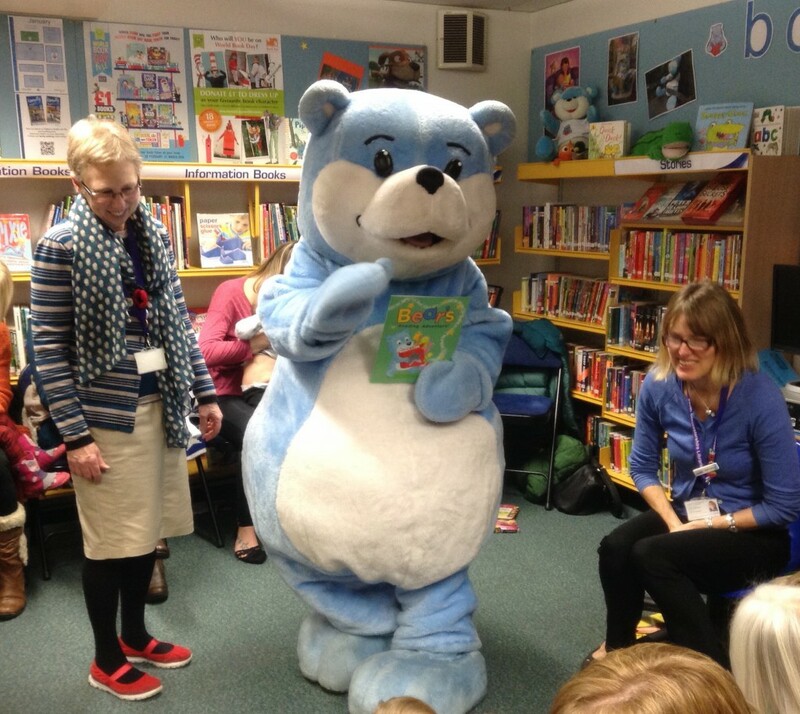 Chair of South Gloucestershire Council Cllr Erica Williams joined local children and the Bookstart Bear at Cadbury Heath Library at the end of January for a fun session of stories and rhymes. Every child who attended was given a copy of the Bear’s Reading Adventure sticker book. All South Gloucestershire Libraries hold regular weekly events for babies and toddlers, including rhyme times, story times and play sessions and parents/carers are asked to contact their local library for details. To find details of local libraries visit www.southglos.gov.uk/libraries and www.southglos.gov.uk/childrenslibrary to find out more about the weekly sessions.